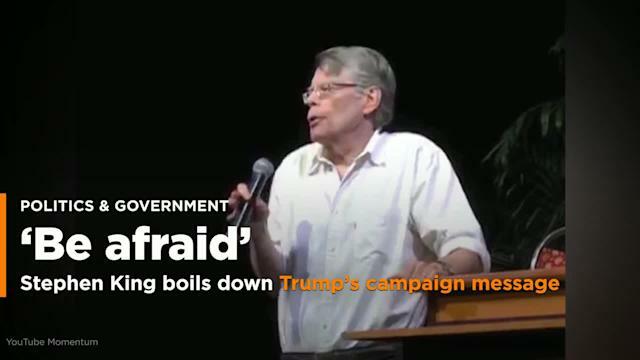 Author Stephen King said the arrest Friday of Roger Stone, a longtime associate of President Donald Trump, should make one thing clear. Stone, who served briefly as a Trump campaign aide in 2015 and remained an informal adviser afterward, was charged with seven counts including lying, obstruction of an official proceeding and witness tampering. Stone is just the latest to be indicted in connection with the Robert Mueller investigation, which has led to guilty pleas from former Trump attorney Michael Cohen, former Trump campaign chair Paul Manafort, and former Trump national security adviser Michael Flynn, among others. Also over the weekend, Trump fired off another “WITCH HUNT!” tweet. Yes! And you’re the witch! King has been a steady Trump critic on Twitter and was even blocked by the president on the social network over his comments.